Since your furniture is going to be outdoors almost exclusively, you need to make sure you choose furniture that will hold up in harsh weather conditions. This means that you’ll need to take a long look at where your outdoor furniture will be used the most. If the area will be at least partially covered from the elements, you can get away with materials such as wicker for your outdoor furniture. 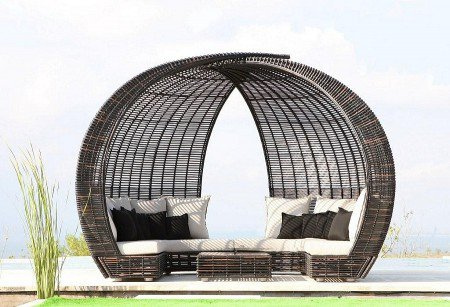 If your outdoor living space will be completely exposed to the rain, then choosing furniture made from either resins or plastic will be a better fit. Whether you live in the north and need to pack away your outdoor furniture from the snow and ice or you just want to be able to move your furniture out of the way for parties that require more standing room, you’ll need to take this into consideration before you start shopping. Typically, the best way to ensure that your furniture will store easily is to buy items that stack together. Most outdoor chairs already have this built into the design, but you can also find tables that fold up nicely so it can fit into an area that is out of the way. When most people shop for their outdoor furniture, they completely overlook how well it is built to deal with the interaction it will see over the years. Sure, it’s really nice to have a comfortable cushion on your chair, but if it’s made of cheap materials then something as small as a random spark from those discount sparklers you bought to use at your backyard barbecue can easily ruin it in a mere few seconds. Make sure you buy furniture that can hold up to water, heat, and general abuse before you start making an investment in your backyard living space. 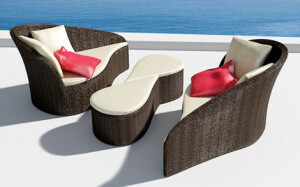 Lastly, you need to consider how your outdoor furniture is going to look in a few years. Set aside the way that the elements are going to change the way the furniture looks, but the actual style may look terrible compared to what happens to be trending at any given moment. Make sure you know your own tastes and always shop for styles that have endured for more than just a few years. Buying a timeless furniture design will ensure that you don’t have any style regrets a few years down the road and that you’re outdoor living space looks fantastic for many years to come.